If you have been named the successor trustee of a trust, we recommend that if possible, you talk with one of our lawyers while the original trustee is still alive. Our lawyers will explain the duties, responsibilities and obligations you will take on when you become the trustee. For trusts that we create for our clients, we also provide detailed instructions for the successor trustee. Whether we created your trust or not, the attorneys of Morris Hall, PLLC, are available to help you administer the trust for which you are responsible. We never charge a fee to sit down with a successor trustee after a death has occurred and to outline what needs to be done. There are some elections to be made soon after a death has occurred, especially with assets held in retirement plans. If you don’t make the right elections, you and other beneficiaries could face tax or other consequences that cannot be corrected later. If you serve as the successor trustee of a trust, you face many complicated responsibilities. You have to comply with the trust laws governing the trust, communicate with the beneficiaries and institutions holding trust assets, and meet all of the IRS and other tax requirements. 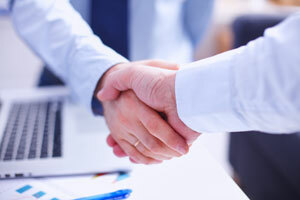 By working with our attorneys, you can alleviate the burden of trust administration, while greatly reducing the chances of a dispute arising among beneficiaries because of conflicts of interest, misunderstandings or disagreements. Most importantly, we can help protect you from disputing beneficiaries and other potential challengers in your role as trustee. Our lawyers can also help you protect trust assets from creditors, ex-spouses, long-term care expenses and tax consequences. By working with our attorneys, you are assured that every protection of your trust will be properly effectuated. You can count on our attorneys to help you carry out the terms and conditions of the trust, and to manage your obligations in the fiduciary capacity that is your responsibility. Contact us to arrange a consultation with an experienced trust administration lawyer today. Our offices are located in Phoenix, Tucson, Albuquerque and communities throughout Arizona and New Mexico.